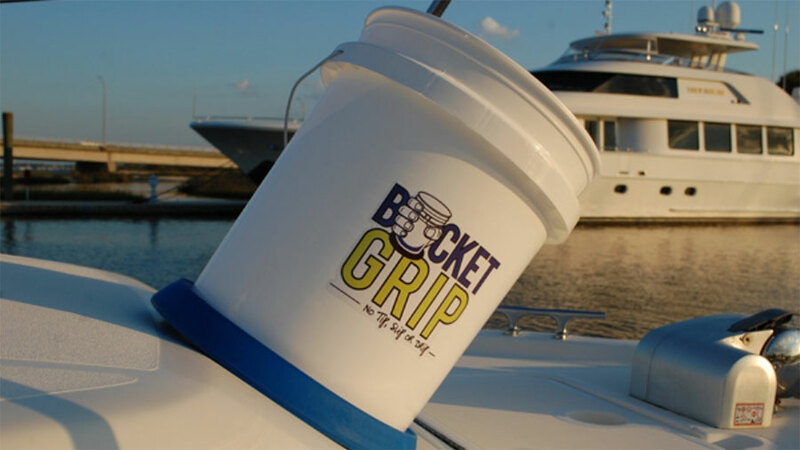 Bucket Grip keeps your fishing bucket in one place. Bait buckets and cleaning supplies generally will roll in a boat with the smallest wave movement, causing a spillage of some kind. This will keep your buckets in place regardless of what Mother Nature has in mind. With waves and a rocking boat up to 30 degrees, the Bucket Grip will remain steady. The Bucket Grip also floats. For more information, please visit www.bucketgrip.com.